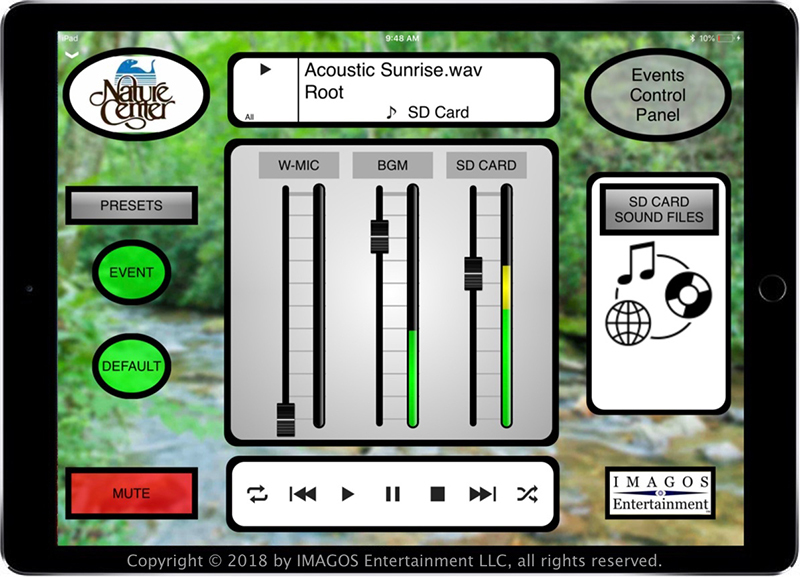 ASHEVILLE, NC – IMAGOS Entertainment LLC of Miami, FL installed a Yamaha Commercial Installation Solutions (CIS) System in the Grand Entrance to the Western North Carolina Nature Center, an outdoor plaza welcoming visitors. The setup includes a Yamaha MTX3 processor, a Yamaha XH200 amplifier and a Yamaha DCP1V4S Digital Control Panel to provide local control of sound levels and show scenes. The Grand Entrance to the Western North Carolina Nature Center is an outdoor plaza that was recently outfitted with a Yamaha Commercial Installation Solutions (CIS) System, installed by IMAGOS Entertainment LLC of Miami, Florida. For more information on IMAGOS Entertainment, LLC visit www.imagos-entertainment.com.